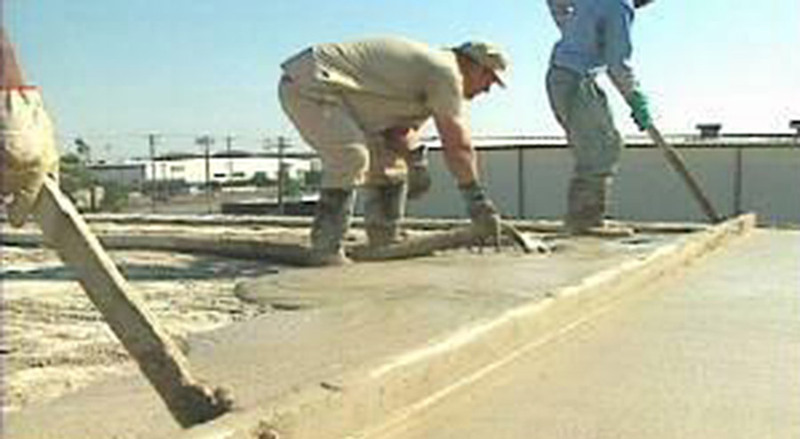 The finer grades of exfoliated vermiculite can be used with portland cement and other aggregates, placing aids and water to produce roof and floor concrete screeds or concretes which have the benefit of being both lightweight and insulating. Roof screeds containing vermiculite are often used in conjunction with other insulation materials such as polystyrene board to form a total roofing system. When combined with a bituminous binder exfoliated vermiculite can be used as a dry, lightweight roof screed which has the advantages of low thermal conductivity, low moisture content and ease of placement by pouring from the bag and then tamping.